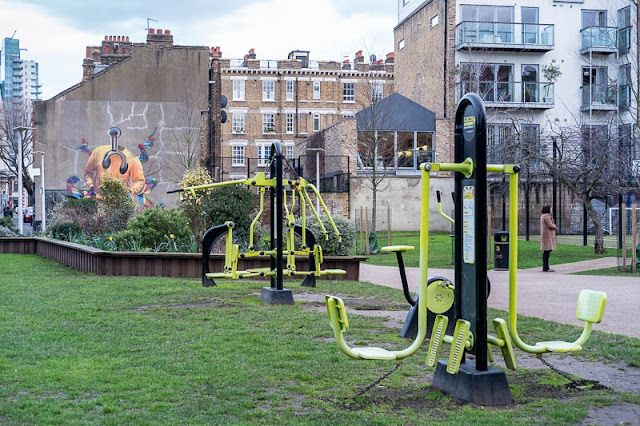 No need to pay hefty gym fees, just pop down to your local park and take advantage of the equipment in the great outdoors. More and more parks are opting to provide these facilities. We see the same thing happening here, but in a smaller scale perhaps. I haven't seen that done here- yet. Good idea ! Not seen here - yet. And save yourself a fortune too, love it! Really good. So much better containing it too, rather than the folk we saw exercising in Hyde Park last weekend, doing press-ups etc on public benches, getting in everyone's way and looking quite ridiculous. Very nice idea! Similar concepts are also being introduced in Singapore. Great idea, must mention it to local council!! Yes, you do see more of these around parks ... good idea!